Ce document au format PDF 1.7 a été généré par Elsevier / Acrobat Distiller 8.1.0 (Windows), et a été envoyé sur fichier-pdf.fr le 12/09/2011 à 17:25, depuis l'adresse IP 41.99.x.x. La présente page de téléchargement du fichier a été vue 1696 fois. Taille du document: 920 Ko (12 pages). include case reports and epidemiological studies, as well as experimental data. 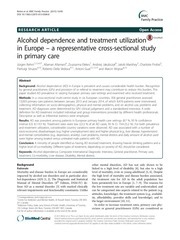 © 2011 Published by Elsevier Masson SAS. fax: +44 0 20 32 99 33 97. E-mail address: dimitrios.bogdanos@kcl.ac.uk (D.P. Bogdanos). 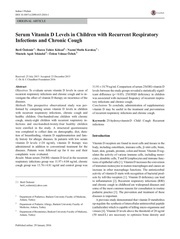 2210-7401/$ – see front matter © 2011 Published by Elsevier Masson SAS. HEp-2 cells as substrate and give a multiple nuclear dot or a rim-like membranous pattern. and it appeared that the frequency increased with age . Again, there was no relationship noted between UTI frequency and histological stage of PBC . larger epidemiological studies of PBC. conducted on PBC. These studies have also found an association between PBC and recurrent UTI. Parikh-Patel et al. indicated an increased prevalence of urinary tract infections (UTI) or bacteriuria among primary biliary cirrhosis (PBC) patients. PBC: Primary biliary cirrhosis; UTI: urinary tract infection. studies have indicated a causative organism. recollection of being told they have UTI by a physician . studies on PBC risk factors was conducted by Gershwin et al. of female PBC patients, compared to 52% of controls . smoking, or family history . epidemiological study group as well as patients from the support group . A large European study by Corpechot et al. of UTI in their lifetime, compared to 7% of controls . another, possibly pathogenic, bacterial species [79—81]. mimicry between human and E. coli PDC-E2 epitopes . epitope (Fig. 2) has explained its antigenicity. react with the corresponding E. coli PDC-E2 sequences . autoimmune disease in genetically susceptible individuals. PDC-E2 seen in PBC patients with rUTI. been demonstrated at the linear epitope and 3D levels . reductase 2, to 93% sequence similarity with ClpX [53,81]. potential target of cross-reactive immune responses . of tolerance to nuclear antigens in susceptible individuals. E. coli in a cohort of 21 PBC patients, compared to controls. of mice, acting as a source for continued infection . potential organism involved in PBC, and it has been demonstrated that this may be due to molecular mimicry [75,78]. been initially formed against the microbial sequence . 55 years had a UTI at least 1 year prior to diagnosis . induce destruction of intrahepatic cholangiocytes in PBC. Data investigating this possibility are also currently lacking. account for their negative association with PBC . these cases, AIH improved after nitrofurantoin was withdrawn and immunosuppressive therapy was initiated . AIH should be suspected in patients receiving nitrofurantoin treatment, who present with signs of liver injury. concert with infectious agents to inﬂict damage in predisposed women [44,124—129]. hypothesis, with several case reports and smaller studies also ﬁnding higher rates of UTI in women with PBC. speciﬁc antinuclear antibodies in primary biliary cirrhosis. PBC. Am J Gastroenterol 2003;98:241—3. effect of ursodeoxycholic acid treatment on histology progression. Hepatology 1999;29:1007—12. Mieli-Vergani G, Vergani D. Autoimmune paediatric liver disease. World J Gastroenterol 2008;14:3360—7. hepatitis. World J Gastroenterol 2008;14:3306—12. primary biliary cirrhosis? 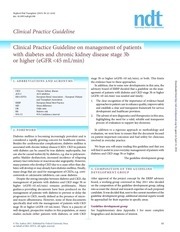 Lancet 2004;363:260—1. Hohenester S, Oude-Elferink RP, Beuers U. Primary biliary cirrhosis. Semin Immunopathol 2009;31:283—307. biliary cirrhosis. Isr Med Assoc J 2009;11:112—5. diseases. J Hepatol 2000;32(Suppl. 1):129—40. 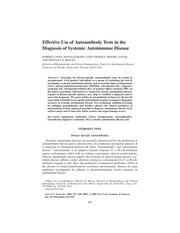 autoantibodies. Clin Liver Dis 2003;7(759—77), vi. liver serology: current diagnostic and clinical challenges. in primary biliary cirrhosis. Clin Chim Acta 2011;412:502—12. Bogdanos DP, Pares A, Rodes J, Vergani D. Primary biliary cirrhosis speciﬁc antinuclear antibodies in patients from Spain. Am J Gastroenterol 2004;99:763—4 [author reply 765]. primary biliary cirrhosis. J Clin Immunol 2007;27:378—87. for primary biliary cirrhosis. J Autoimmun 2010;35:436—42. James OF. 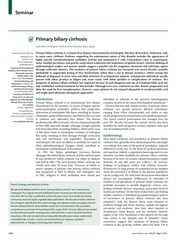 Natural history of early primary biliary cirrhosis. normal alkaline phosphatase: is this primary biliary cirrhosis? Hirschﬁeld GM, Invernizzi P. Progress in the genetics of primary biliary cirrhosis. Semin Liver Dis 2011;31:147—56. autoimmune liver disease. J Hepatol 2004;41:31—7. CD8 T-cell function in patients with autoimmune hepatitis. with primary biliary cirrhosis. J Hepatol 2010;53:162—9. J, et al. Risk factors and comorbidities in primary biliary cirrhosis: a controlled interview-based study of 1032 patients. Parikh-Patel A, Gold EB, Worman H, Krivy KE, Gershwin ME. from the United States. Hepatology 2001;33:16—21. infection. Dig Liver Dis 2003;35:801—5. with human pyruvate dehydrogenase in primary biliary cirrhosis. J Hepatol 2004;40:31—9. Helicobacter pylori does not lead to immunological crossreactivity. Scand J Gastroenterol 2004;39:981—7. caseinolytic proteases P characterise primary biliary cirrhosis. E. coli infection in the pathogenesis of primary biliary cirrhosis. Dis Markers 2010;29:301—11. autoimmune liver disease: virtuous intentions, malign consequences. Liver 2001;21:225—32. primary biliary cirrhosis. J Autoimmun 2004;22:353—62. Bogdanos DP, Vergani D. Bacteria and primary biliary cirrhosis. Clin Rev Allergy Immunol 2009;36:30—9. mimicry in liver disease. Nature 1992;358:377—8. Brumﬁtt W, Sherlock S. Bacteriuria and primary biliary cirrhosis. Gut 1984;25:133—7. infection using an ELISA and puriﬁed PBC speciﬁc antigens. cirrhosis and the effect of antimicrobial therapy in symptomatic and asymptomatic groups. Gut 1995;36:931—4. Hatoff DE, Cohen M, Schweigert BF, Talbert WM. Nitrofurantoin: another cause of drug-induced chronic active hepatitis? MA, Garcia Plaza A. Bacteriuria in primary biliary cirrhosis. cirrhosis. Rev Med Chil 1993;121:499—502. with primary biliary cirrhosis. Intern Med 2003;42:1144—8. a meta-analysis. Hepatol Res 2011;41:572—8. 2010. Jun 2. [Epub ahead of print] PMID: 20605373. Burroughs AK. Signiﬁcant bacteriuria has prognostic signiﬁcance in primary biliary cirrhosis. J Hepatol 1989;9:149—58. autoimmunity. Dig Liver Dis 2000;32:440—6. Vergani D, Choudhuri K, Bogdanos DP, Mieli-Vergani G.
with Crohn’s disease. J Crohns Colitis 2011;5:101—9. avium paratuberculosis and human intestinal antigens characterize Crohn’s disease? Gastroenterology 2006;131:85—96. diseases. J Exp Med 1995;181:1835—45. Acad Sci U S A 1990;87:3987—91. in primary biliary cirrhosis. Liver Int 2006;26:633—5. in immune-mediated cholangiopathy similar to human primary biliary cirrhosis. Gastroenterology 2008;134(4(Suppl. mimics. Clin Dev Immunol 2005;12:217—24. infection precedes development of primary biliary cirrhosis. aggregation of susceptibility to autoimmune diseases. Arthritis Rheum 2009;60:2845—7. primary biliary cirrhosis. Nat Genet 2010;42:655—7. variants. N Engl J Med 2009;360:2544—55. 1992 healthy controls. Hepatology 2008;48:1906—12. active hepatitis. Isr Med Assoc J 2002;4:184—6. Ramachandran R, Kakar S. Histological patterns in druginduced liver disease. J Clin Pathol 2009;62:481—92. Stricker BH, Blok AP, Claas FH, Van Parys GE, Desmet VJ. et al. Autoimmune hepatitis triggered by statins. J Clin Gastroenterol 2006;40:757—61. disease. Eur J Haematol Suppl 1996;60:89—92. Mancini S, Amorotti E, Vecchio S, Ponz de Leon M, Roncucci L.
of the literature. Intern Emerg Med 2010;5:193—200. Meneguz A, Fortuna S, Lorenzini P, Volpe MT. Inﬂuence of urethane and ketamine on rat hepatic cytochrome P450 in vivo. Leung PS, Iwayama T, Coppel RL, Gershwin ME. Ce fichier a été mis en ligne par un utilisateur du site. Identifiant unique du document: 00066204.